With the recent times and increase in demand, more and more people are trying their luck in e-commerce business. Reason is simple as market is huge all around the world and there is still a lot yet require capturing. But do you know what will be the perfect backbone of any e-commerce company. It is the way by which it keeps in contact with the people who are subscribed to its service. 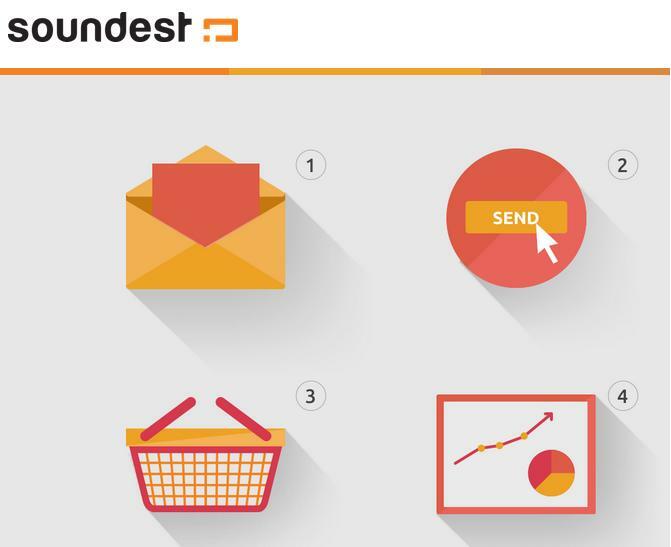 This is where today I am sharing about Soundest, an UK-based app for e-commerce email marketing. Any e-commerce business can’t survive unless and until it got email marketing service in hand which is reliable, secure and easy to use. Soundest is the one which fulfils all this criteria. It is free and easy-to-use email marketing service for both small and medium e-commerce websites. Using this means, one need not to code, design or build anything. It works seamlessly with your online store and lets users collect customer data, and let build promotional newsletters and track sales with an ease. Sounds good, right? Try today – Soundest.